Bototek HD uses Sony’s CMOS sensor. Thanks to it – the video quality is really good – the videos look sharp and clear. The video resolution is 4K at 25fps (frames per second), but I recommend using the 1080P resolution instead – for better fps and smoother videos. But don’t get me wrong – you can still use the 4K option – no poblems with that. the video quality is still very good. 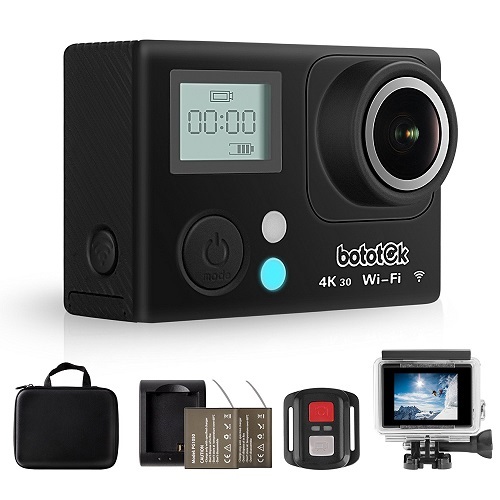 I do want to mention that there are other action cameras in this price range that in my opinion offer a little bit better video quality. One of them is YI Lite (Amazon link). It’s a fairly new model, and in my opinion – it will become a best seller worldwide soon. It’s reasonably priced and offers amazing video quality. And of course – it’s made by Xiaomi – a well known and trusted company. Another great action camera worth checking out is AKASO EK7000 (Amazon link). You probably already heard about it since this model is extremely popular. 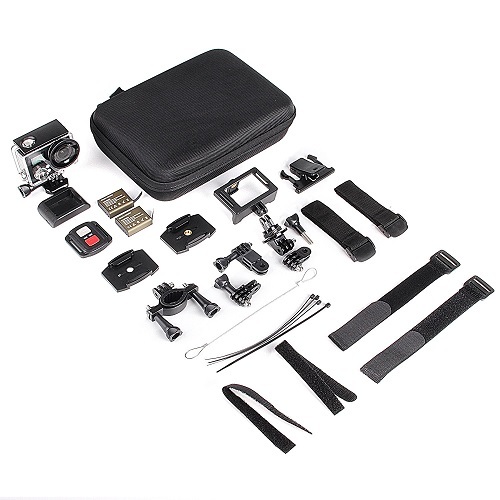 This action camera is easy to use and the video quality is really good as well. In order to pair Bototek HD action camera with your smartphone (or tablet) – you need to download an app called Ez iCam. It’s a very popular app used by tens of thousends around the world. To activate the WIFI feature of Bototek HD, press the Down/WIFI button. The WIFI range and stability is very good. For many people – the WIFI functions are a must have, but for some, like me – a wireless wrist controller is more useful and handy. Bototek HD comes with different mounts and accessories. The included wireless wrist controller is very useful and actually works really well. You also get a waterproof case which is very useful. Not all action cameras, especially in this price range come with a waterproof case. Here you get it, so you don’t have to spend extra money to buy it. Installing the waterproof case is very easy and should not take you more than few seconds. You will be able to record amazing videos underwater using it. Bototek HD comes with 2 powerful batteries. Each one should last 40-60 minutes, depending on the video quality, if the wifi is enabled and other factors. It’s good to get the spare battery, since many action cameras only come with 1 battery, making you buy the spare one (which is never cheap). If you need a good action camera buy don’t have a big budget, defiantly buy this device. 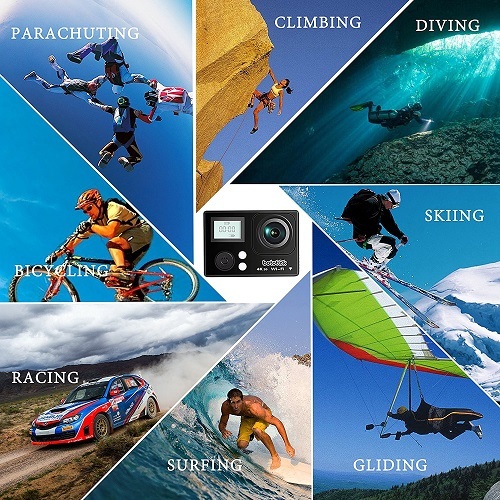 Is the best action camera one can get? surely not, but for the price – it’s pretty amazing. Not all people really need the best action camera and surely are not willing to pay hundreds of dollars for it.